During the 2016-17 season, Roman will play Mason Bates’s Cello Concerto with four different orchestras: the Portland, Berkeley, Spokane, and Memphis Symphonies. The concerto is dedicated to the cellist, who gave its “world-class world premiere” (Seattle Times) with the Seattle Symphony in 2014, and has since performed it with orchestras around the U.S., including as part of a residency last spring with the Los Angeles Chamber Orchestra. In the second of two performances with the Omaha Symphony, he plays Dreamsongs, a cello concerto written for him by Pulitzer Prize-winning composer Aaron Jay Kernis, after a concert featuring Tchaikovsky’s Pezzo Capriccioso and Variations on a Rococo Theme. He will also play a solo recital at Virginia Commonwealth University, and a Halloween concert (in a New York crypt) featuring the music of composer Gregg Kallor. Recent seasons have seen Roman premiere Awakening, his own Cello Concerto, with the Illinois Philharmonic Orchestra, and subsequently perform it with ProMusica Chamber Orchestra; make his debut with the Pittsburgh Symphony Orchestra playing Dvorák’s Cello Concerto; give a solo performance on the TED2015 main stage; perform a program of chamber works by Lera Auerbach at San Francisco Performances with Auerbach and violinist Philippe Quint; and make appearances with the Columbus, Fort Worth, New World, Seattle Symphonies as well as with the Moscow State Symphony Orchestra and BBC Scottish Symphony Orchestra. He also served as Alumnus-in- Residence at the prestigious Music Academy of the West in Santa Barbara. Roman has demonstrated inspirational artistic leadership throughout his career. As Artistic Director of TownMusic in Seattle he has showcased his own eclectic musical influences and chamber music favorites, while also promoting newly commissioned works. Under his direction, the series has offered world premieres of compositions by some of today’s brightest young composers and performances by cutting-edge ensembles. In the 2015-16 season at TownMusic he presented his own song cycle, … we do it to one another, based on Tracy K. Smith’s book of poems Life on Mars, with soprano Jessica Rivera. He has also recently been appointed the inaugural Artistic Advisor of award-winning contemporary streaming channel Second Inversion, launched by Seattle’s KING-FM to cultivate the next generation of classical audiences. 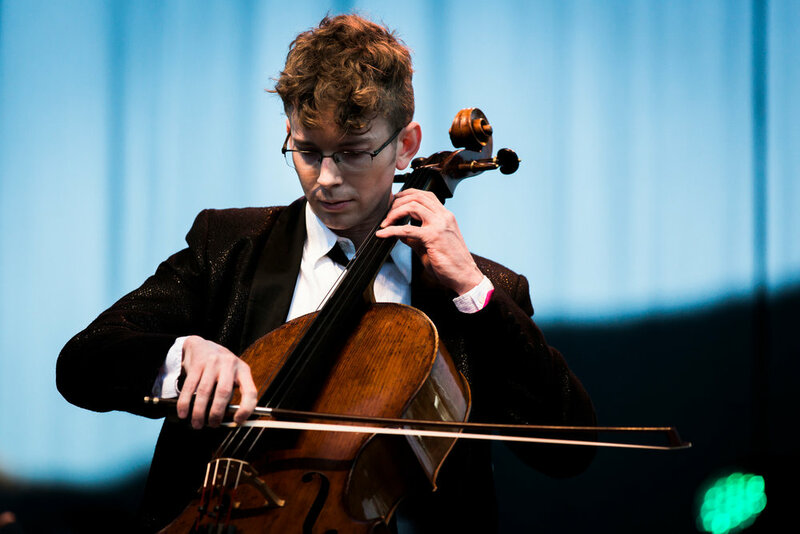 The cellist additionally took on a new curatorial role last summer, as Creative Partner of the Colorado Music Festival & Center for Musical Arts. The same organization sponsored him in April 2016 at the 68th Annual Conference on World Affairs on the University of Colorado campus, where he contributed his innovative ideas about how classical music is conceived and presented. 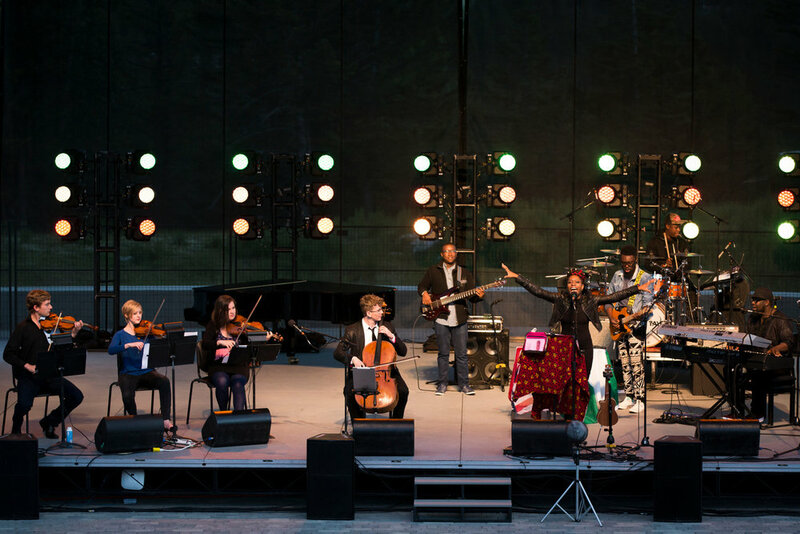 Roman performed at the Kennedy Center Arts Summit that same month and is a member of the 2016 Kennedy Center Honors artists committee. Roman’s cultural leadership includes using digital platforms to harness new audiences. In 2009 he developed “The Popper Project,” performing, recording and uploading the complete etudes from David Popper’s High School of Cello Playing to his dedicated YouTube channel. In his latest YouTube project, “Everyday Bach,” Roman performs Bach’s cello suites in beautiful settings around the world. He has collaborated with photographer Chase Jarvis on Nikon video projects, and Paste magazine singled out Roman and DJ Spooky for their cello and iPad cover of Radiohead’s “Everything in Its Right Place,” created for the Voice Project. For his creative initiatives on behalf of classical music, Roman was named a TED Fellow in 2011, joining a select group of next-generation innovators who show potential to positively affect the world. He acted as curator for an outdoor amphitheater performance at the TED Summit in Banff in the Canadian Rockies this past summer. For press inquiries please contact Opus 3 Artists.